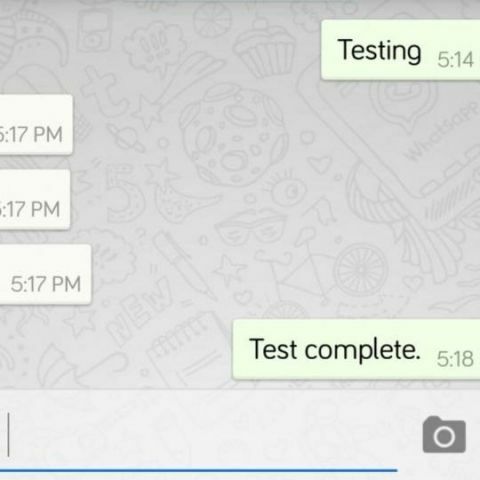 WhatsApp now lets the users know when their messages have been read. WhatsApp, that showed double check marks if a sent message had been received, now turns those check marks blue if the message has been read. WhatsApp's FAQ section explains that the feature will be implemented in group chat and broadcast messages as well. The two checkmarks will turn blue after every participant within the group has read the message. This feature has been pushed over-the-air to both iOS and Android versions of the app and is not part of any update. According to reports, WhatsApp will also be adding VOIP (Voice over IP) capabilities soon. The feature was spotted on WhatsApp's iOS app in the company's latest update for the iPhone on September 8. The feature will allow the messaging app's 600 million users to make free calls over WiFi and cellular. WhatsApp's CEO Jan Kuom had confirmed the free voice calling feature in February this year post Facebook's acquisition and stated that it will be launched on Android and iOS, followed by BlackBerry, Nokia and Microsoft's platforms.